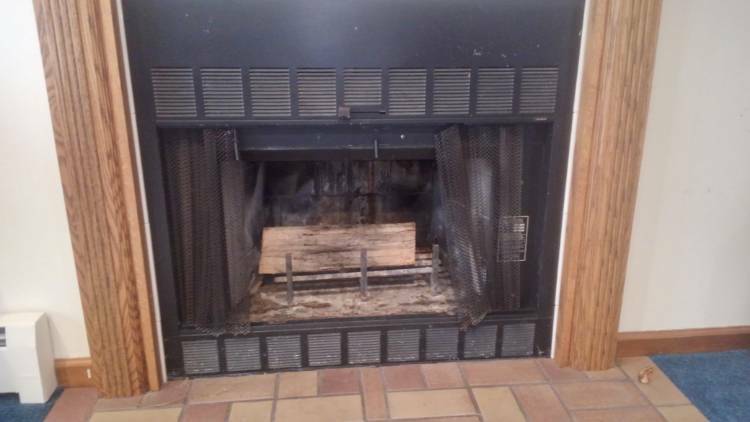 Vernon Ct customer had broken panels in the firebox as well as water entry and rust staining. 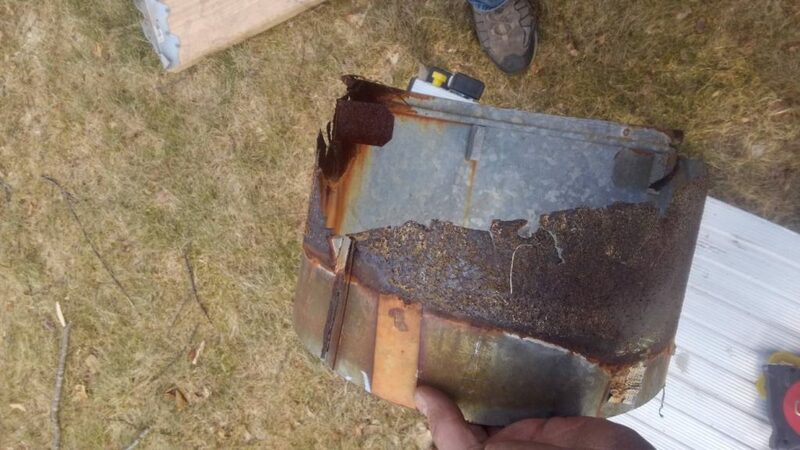 The top chase pan was made of galvanized metal as well as the top pipe, which rusted to the point that the chimney cap flew off into the backyard. Staining can be seen down the siding. 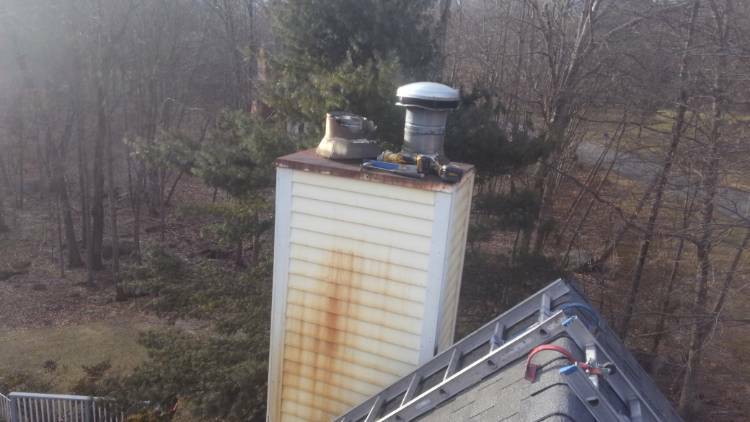 Water was able to make its way into the chimney and cause rusting of the non stainless steel areas of the chimney. 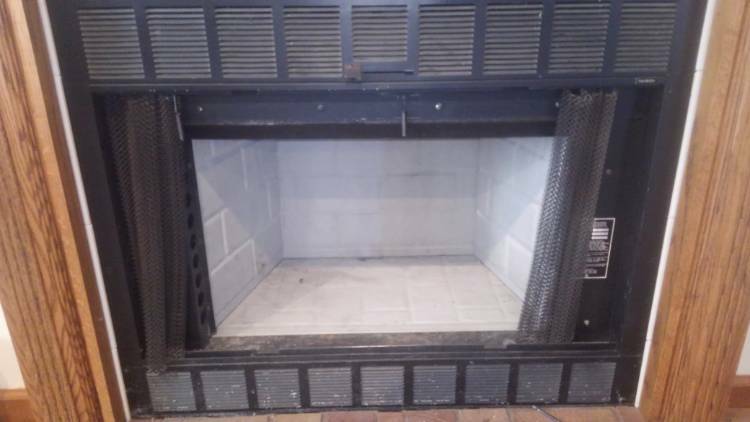 We replaced the top pipe, cap and chase pan cover and redid the firebox with new panels. Water tight. 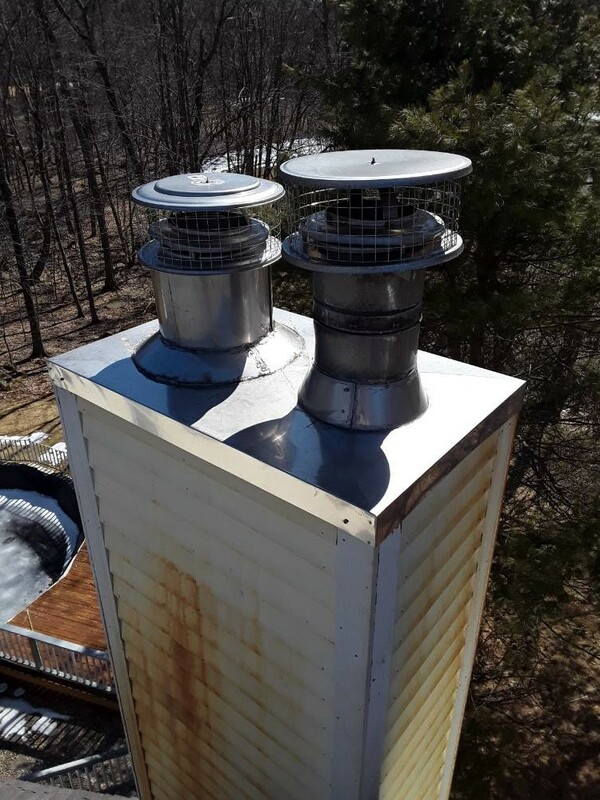 If you see rust stains in or on your chimney, don’t wait, get your chimney inspected by a csia certified chimney sweep.